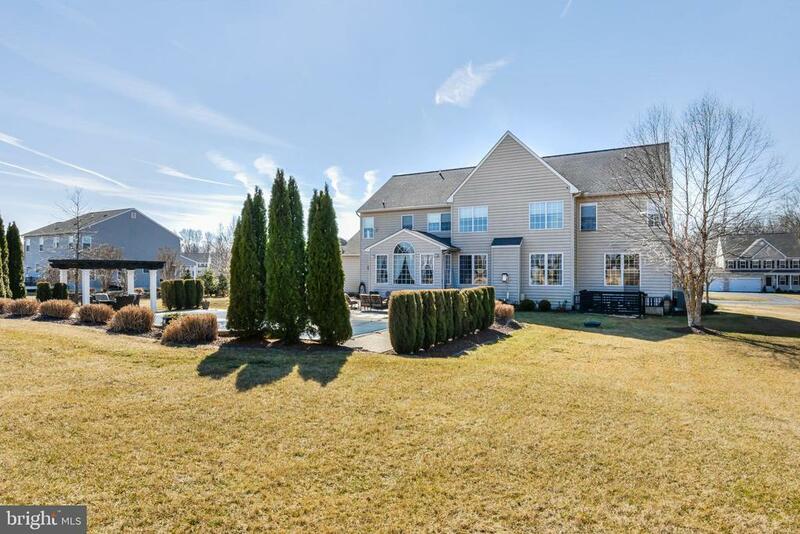 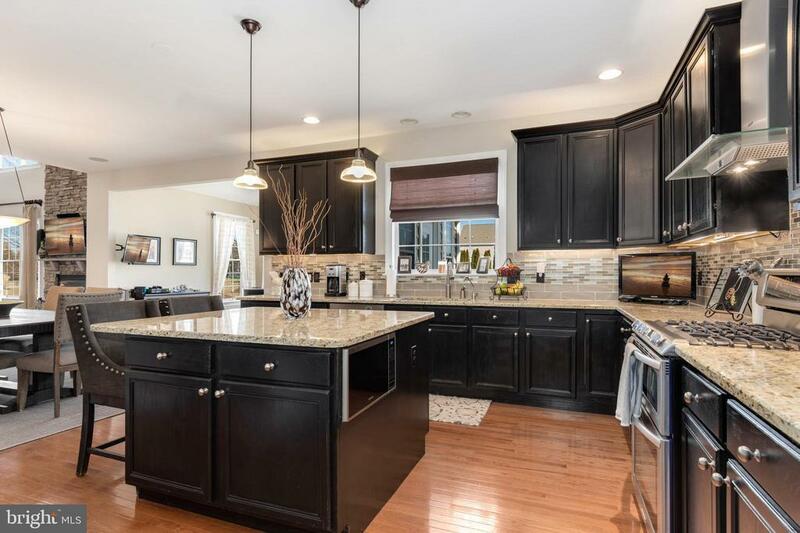 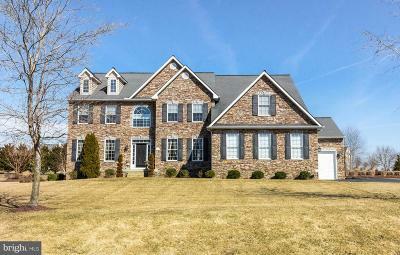 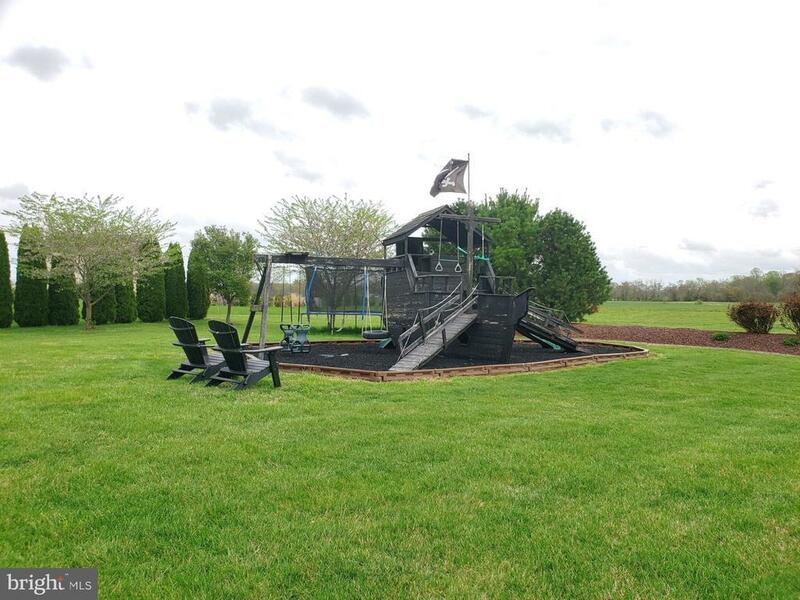 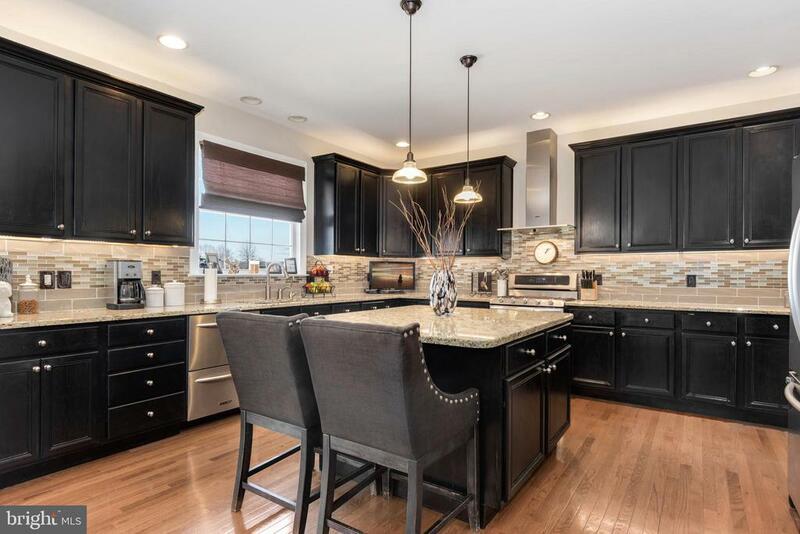 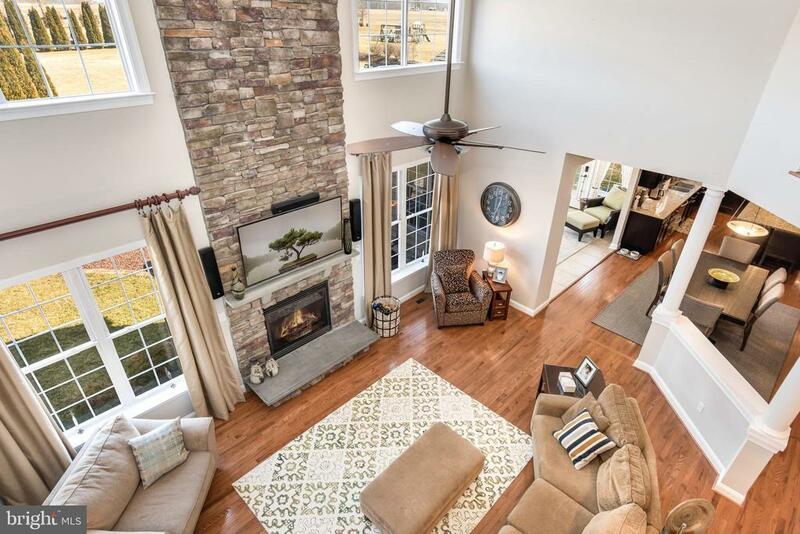 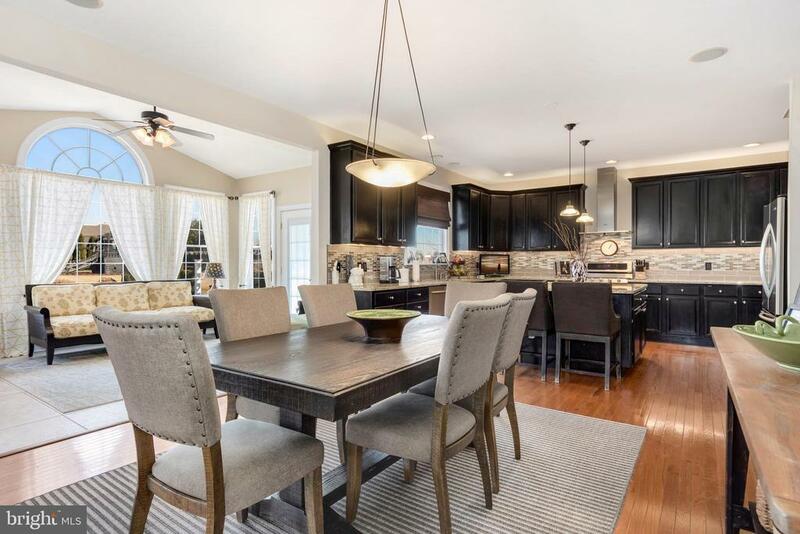 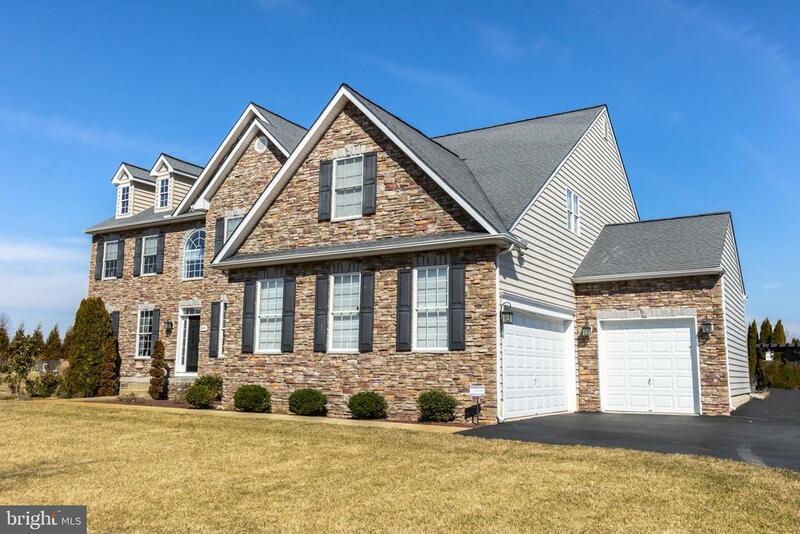 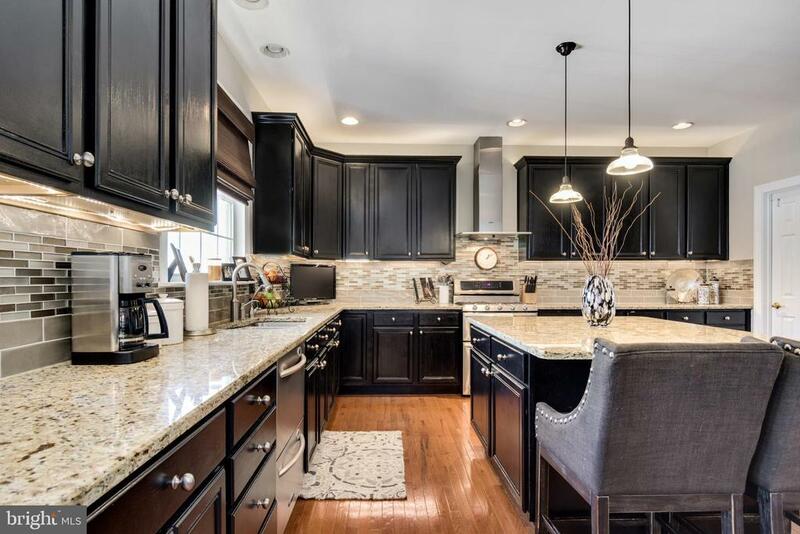 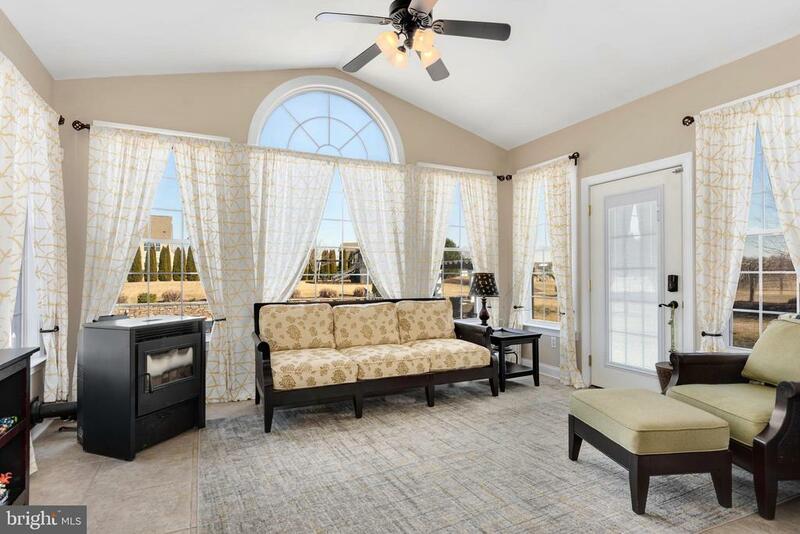 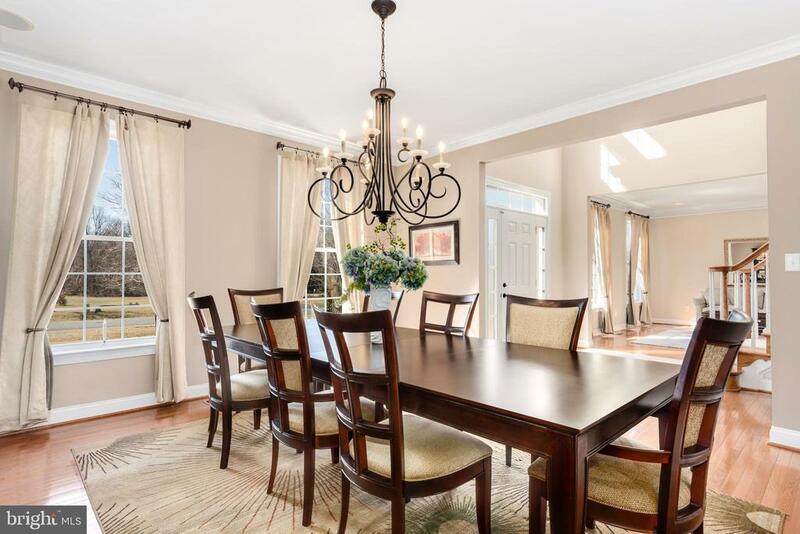 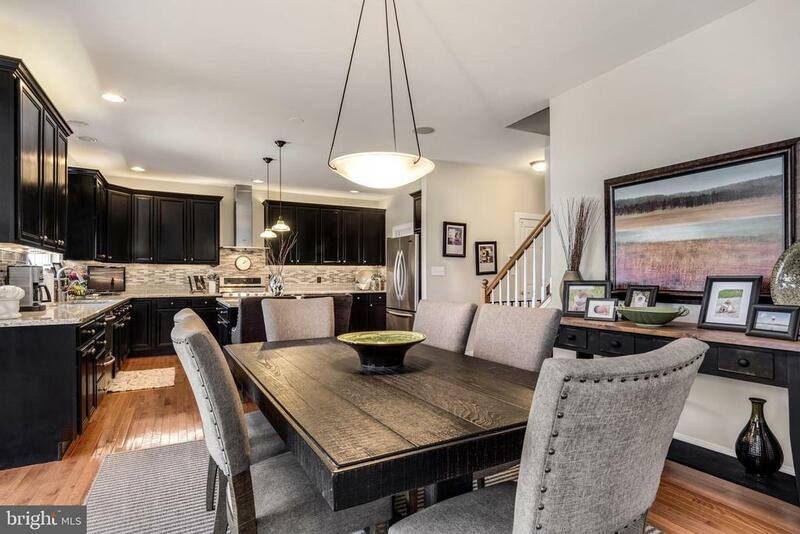 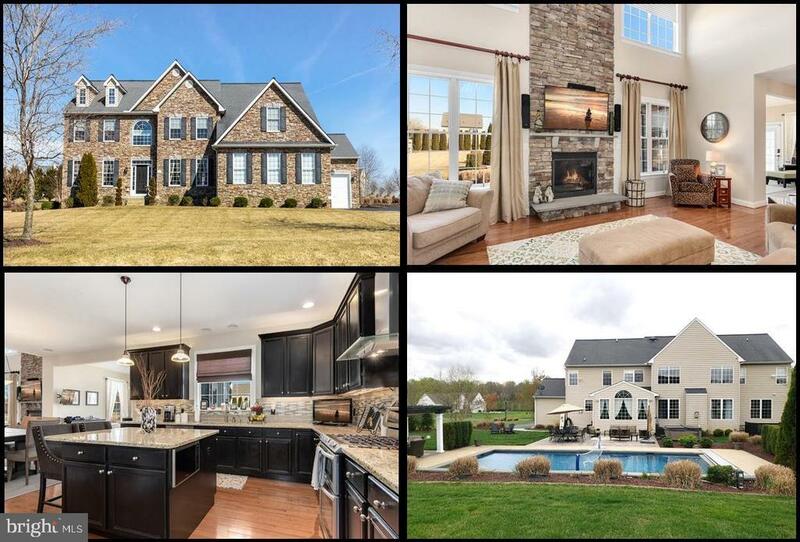 This custom Dream home is located in a subdivision of upscale homes and this is the first time this one has been on the market since built in 2007. 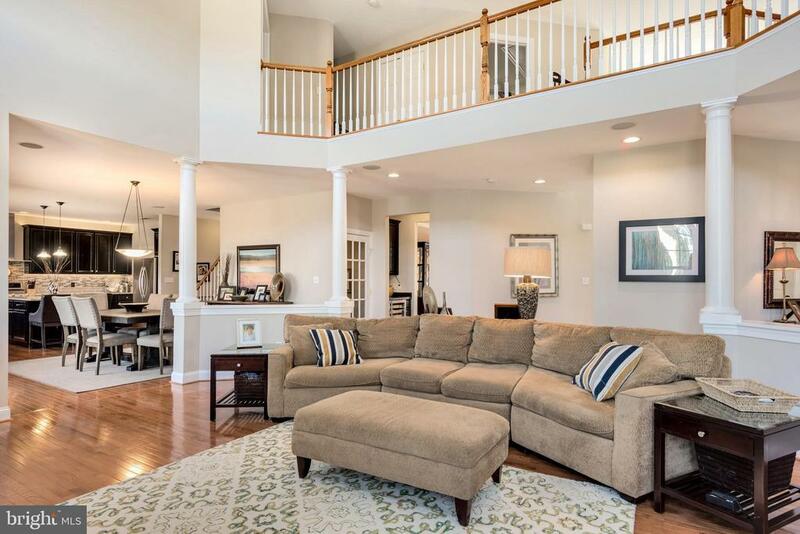 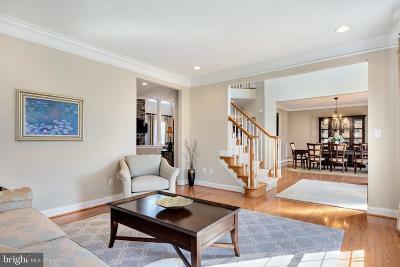 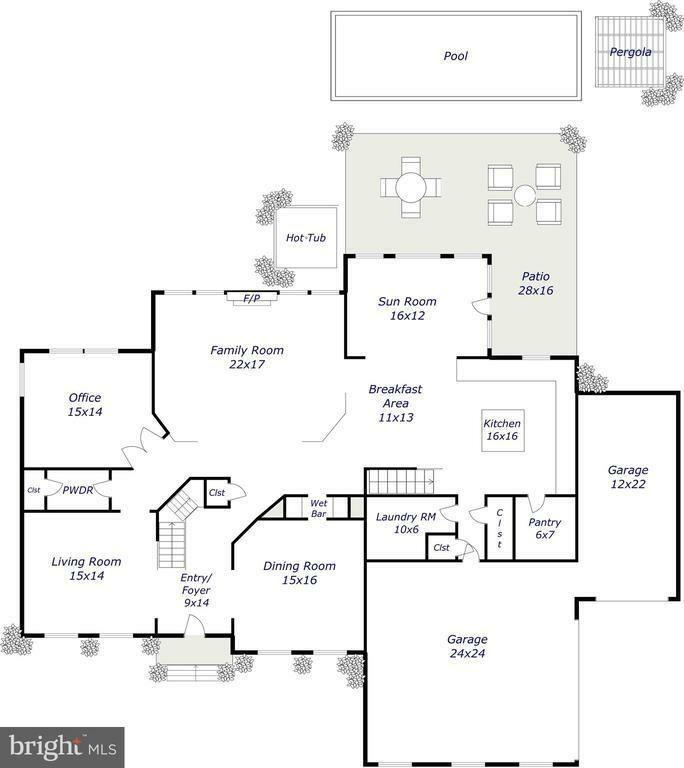 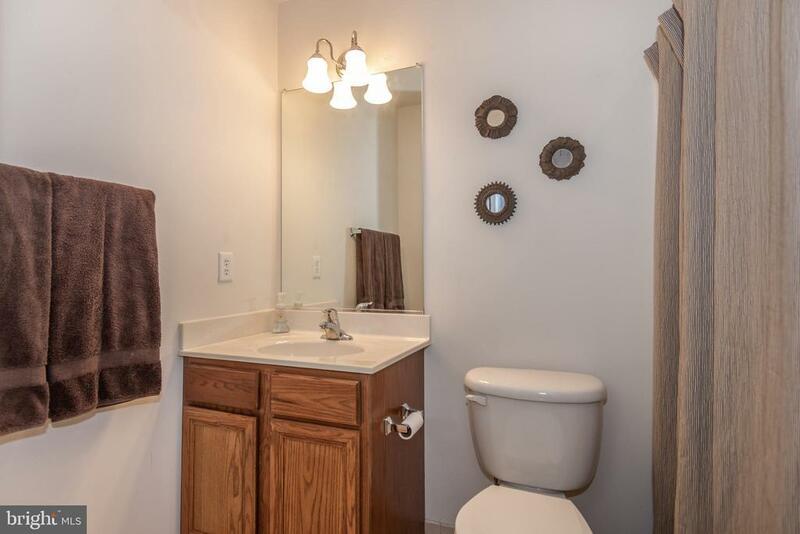 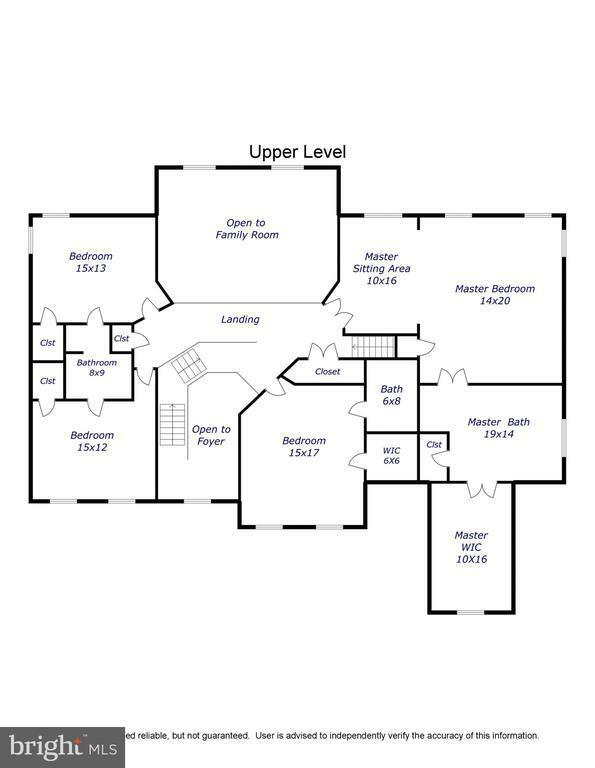 Thoughtfully designed floor plan provides bright open living spaces. 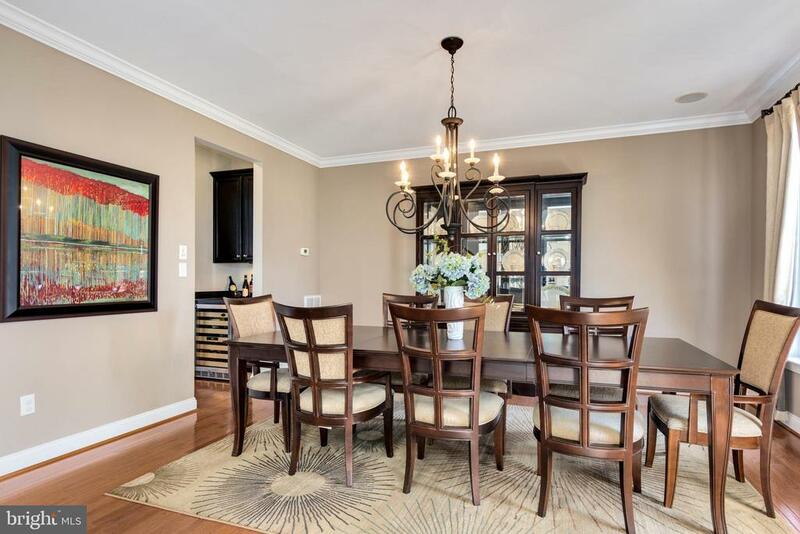 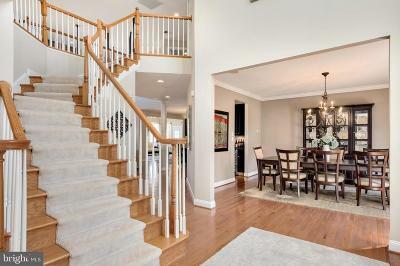 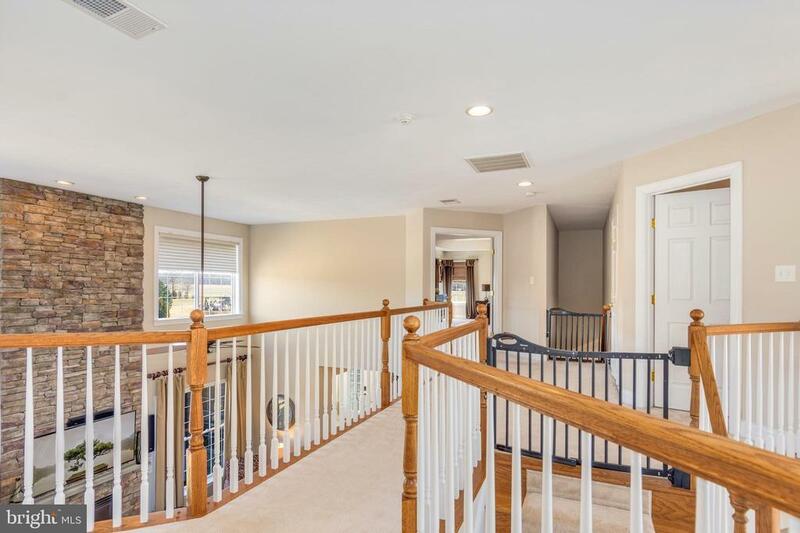 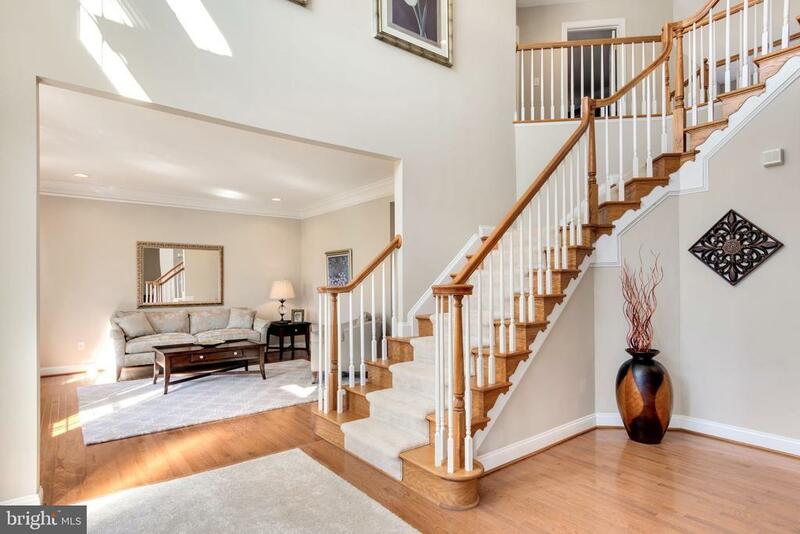 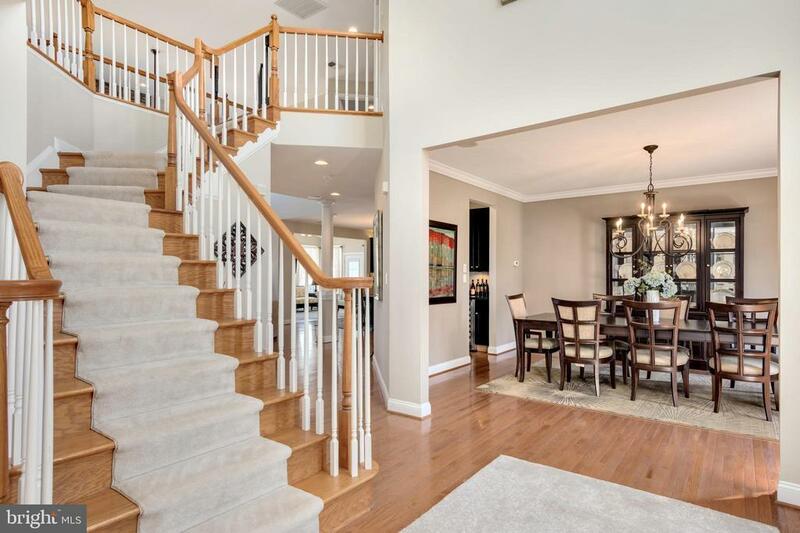 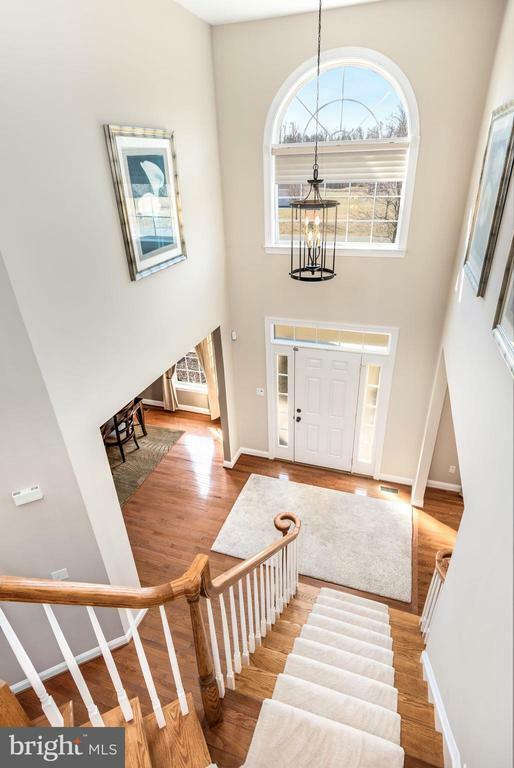 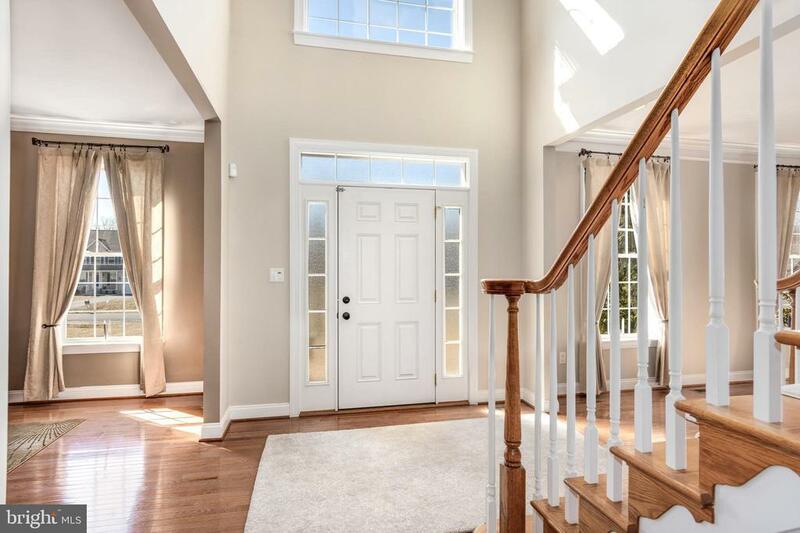 Main and second levels provide 4300 sq ft and lower level provides an additional 1200+-sq ft. Gorgeous hardwood floors through out most of the main level. 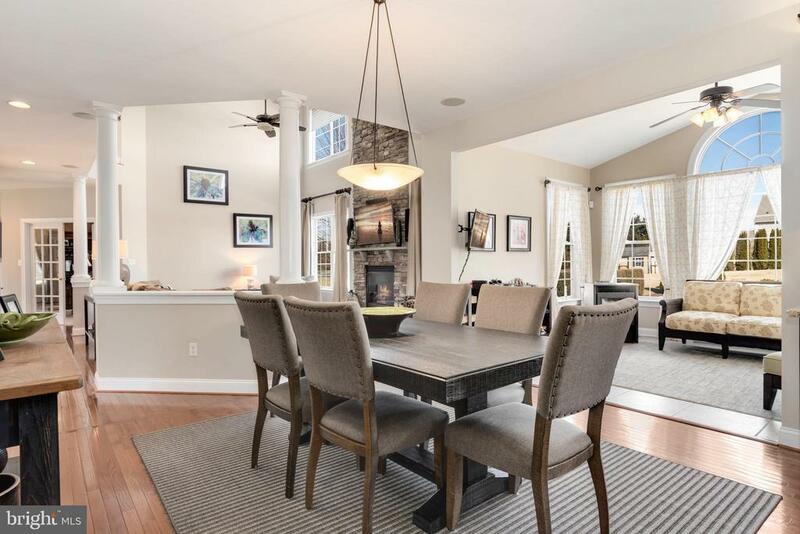 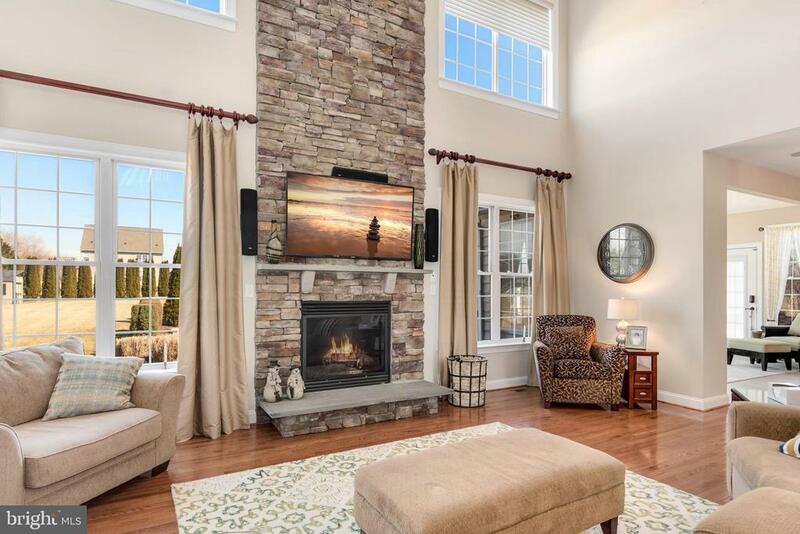 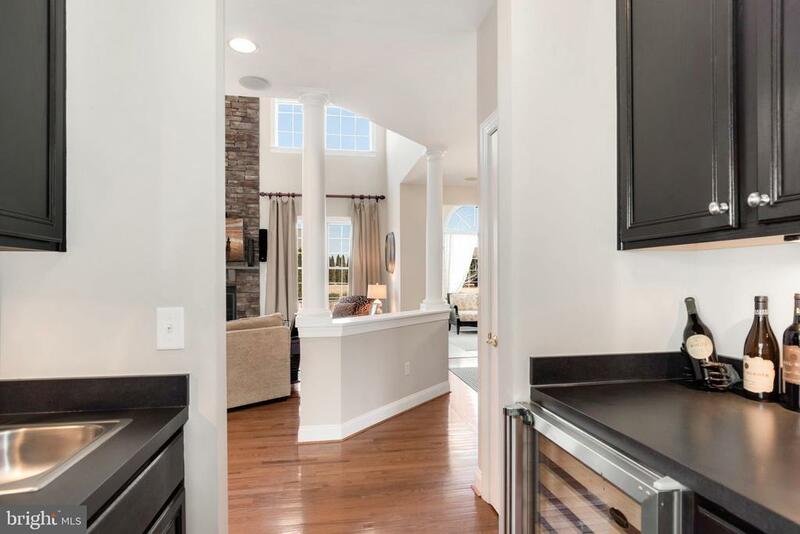 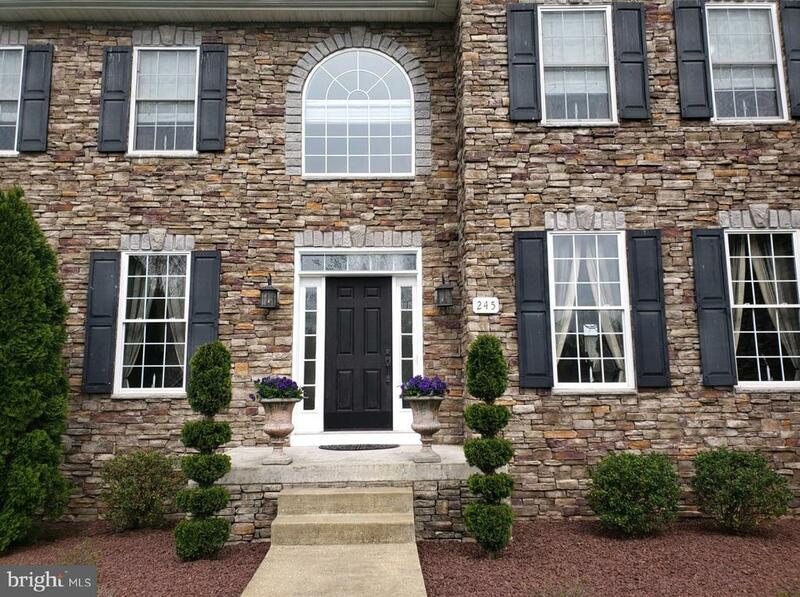 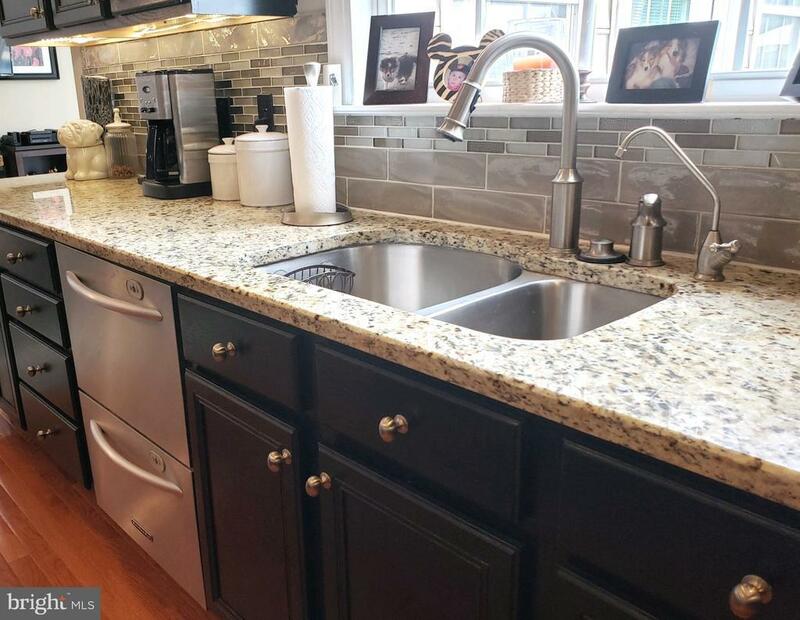 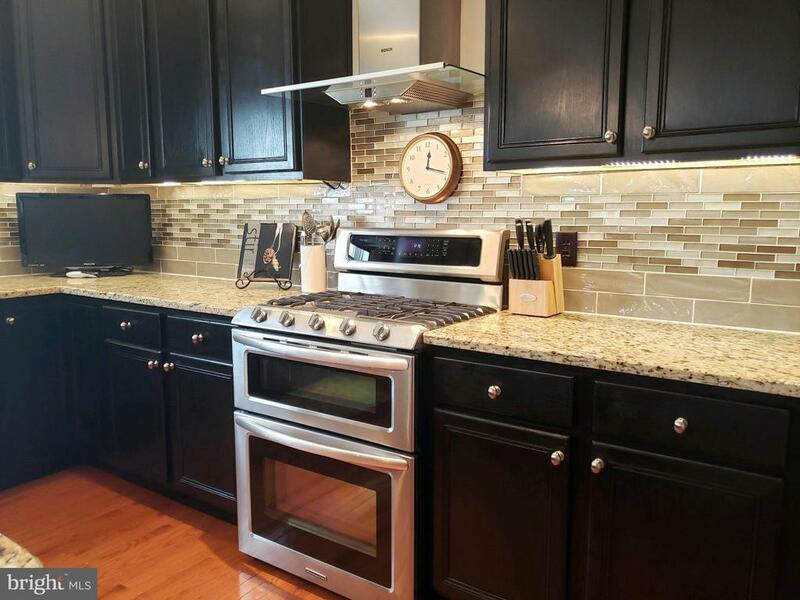 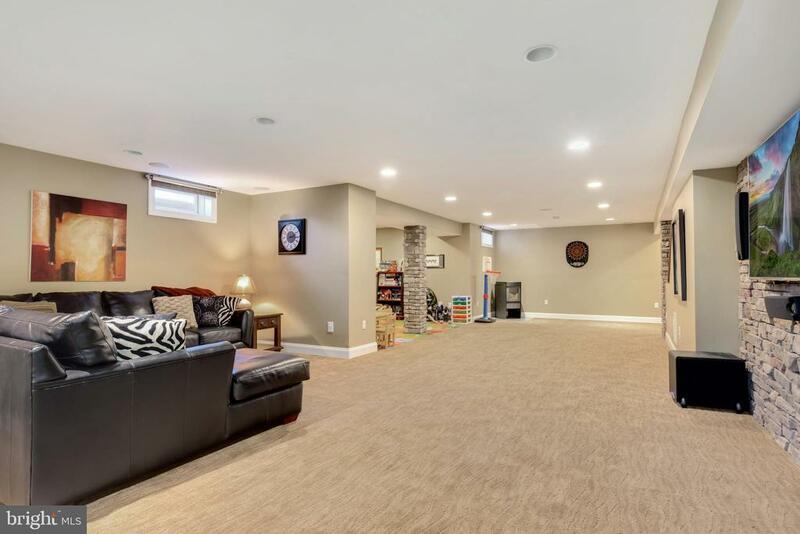 Family room with stack stone gas fireplace opens to spacious kitchen with over sized island, granite with gorgeous back splash, Kitchen Aide appliances, recessed and under cabinet accent lighting and big pantry. Table space for everyday use plus theres a separate dining room complete with butlers pantry. 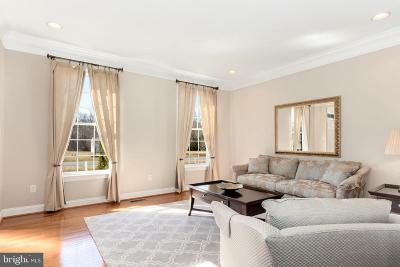 Cozy Living room, private office, sun room with pellet stove and utility room complete the main level. 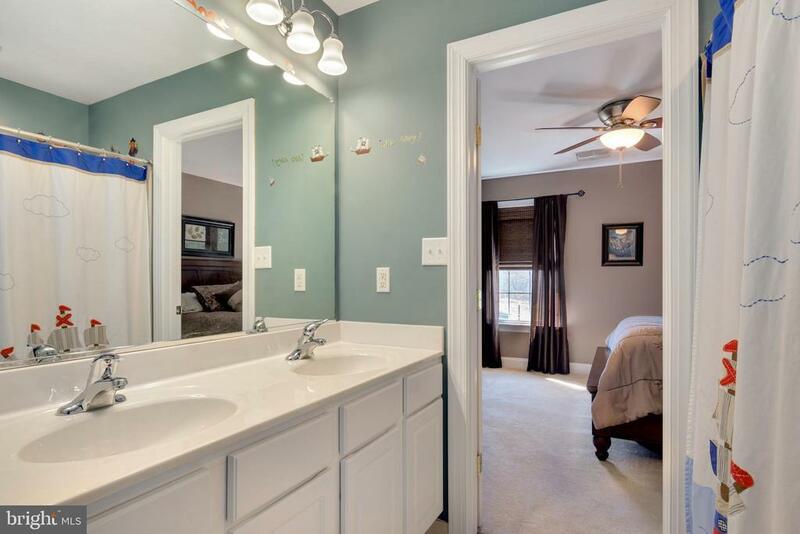 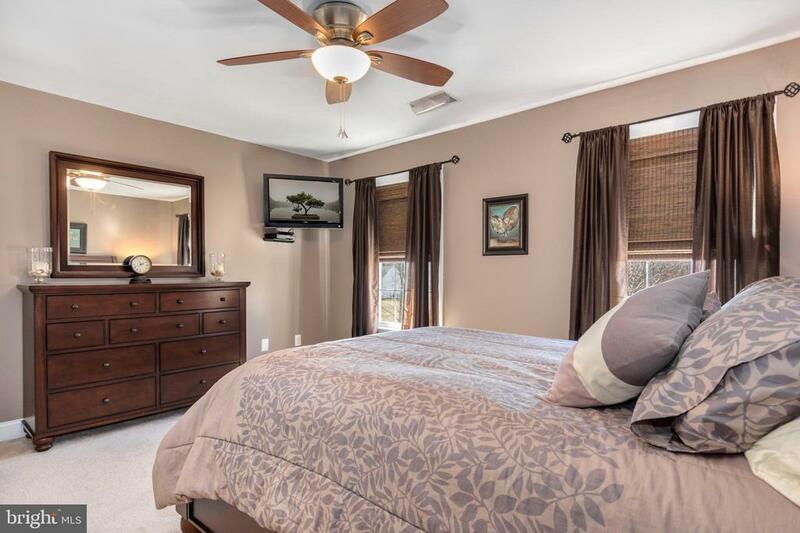 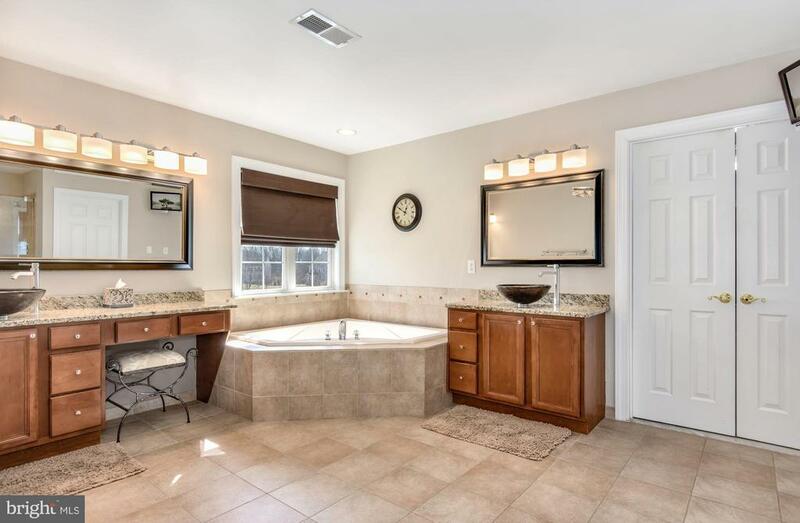 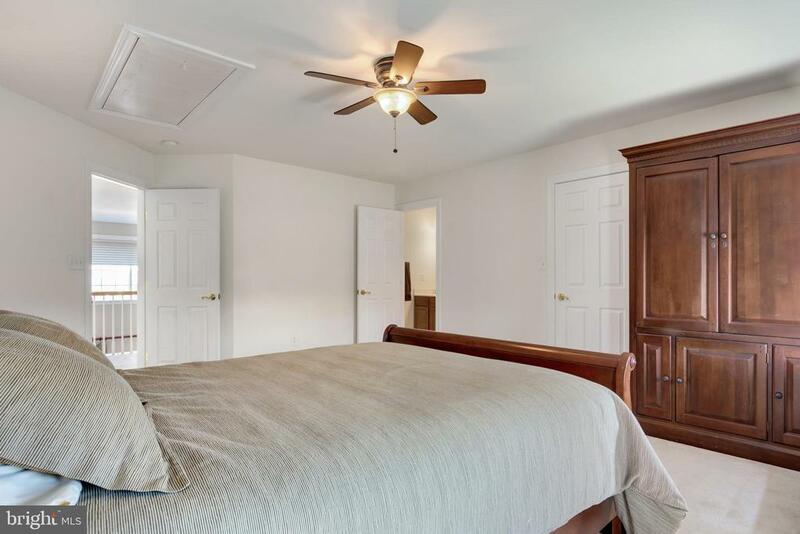 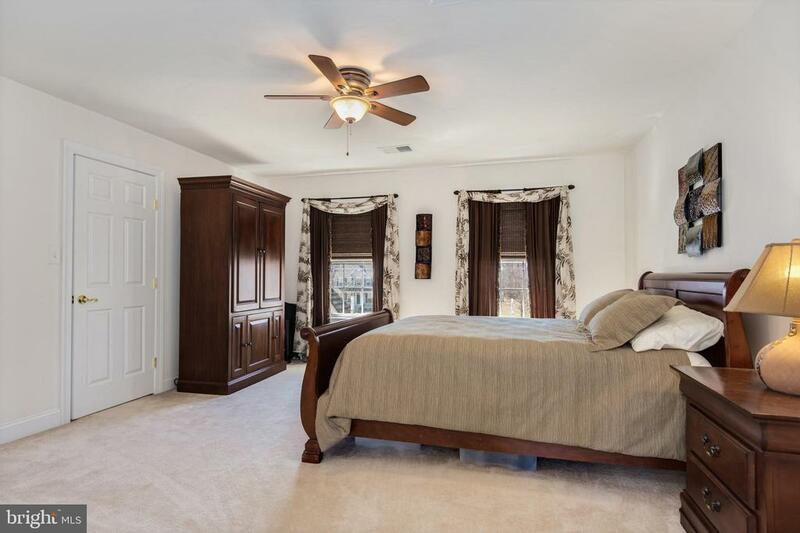 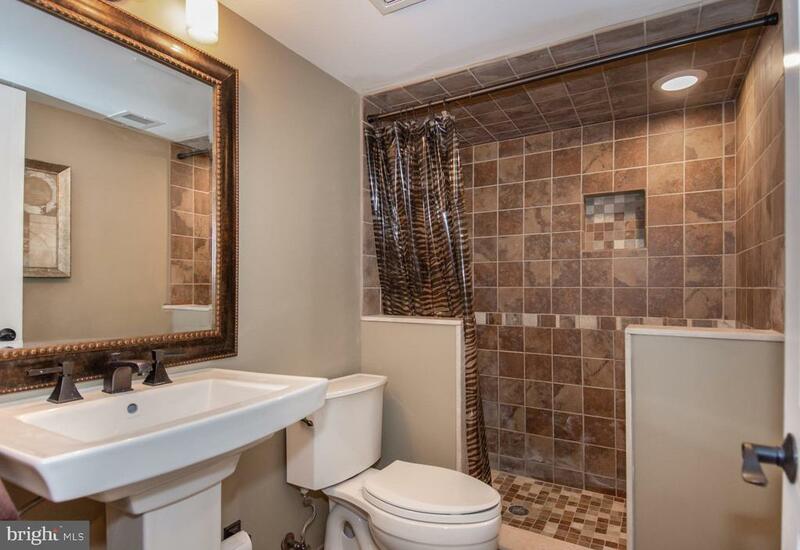 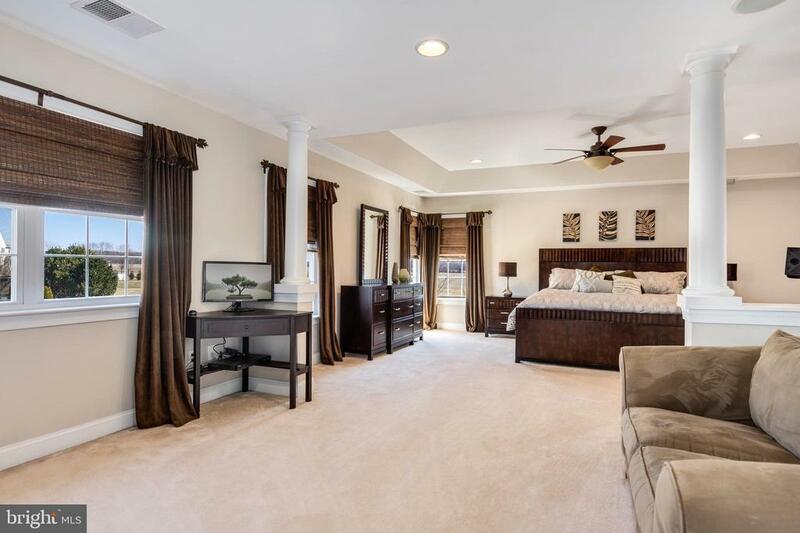 Upstairs there are 4 bedrooms, 2 are serviced by a Jack and Jill bath, the 4th bedroom enjoys its own private bathroom.The large master bedroom has a sitting area, a spacious master bath and divine walk in closet! 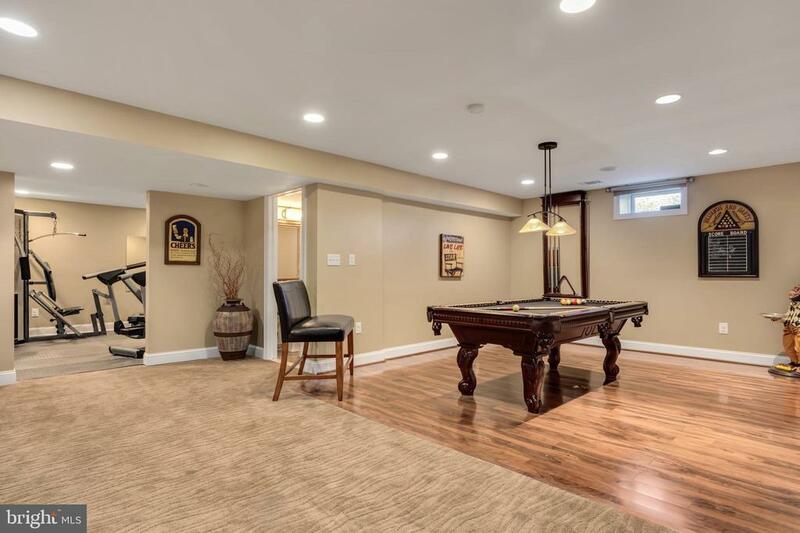 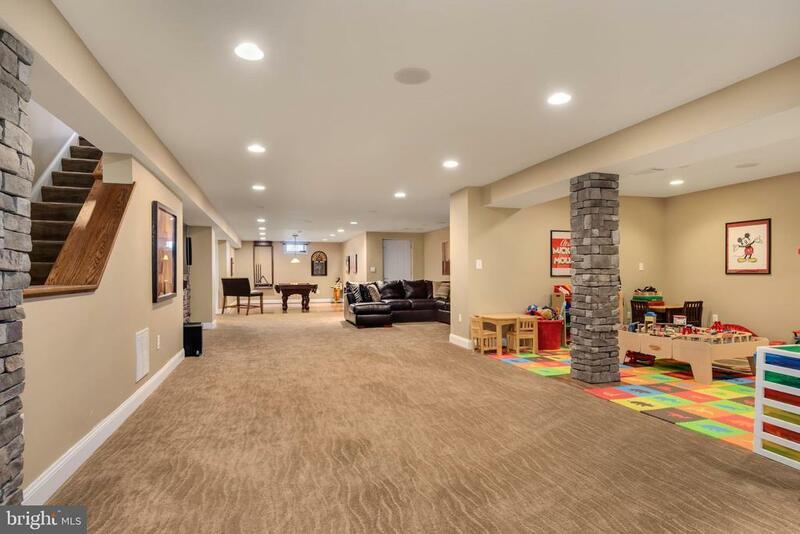 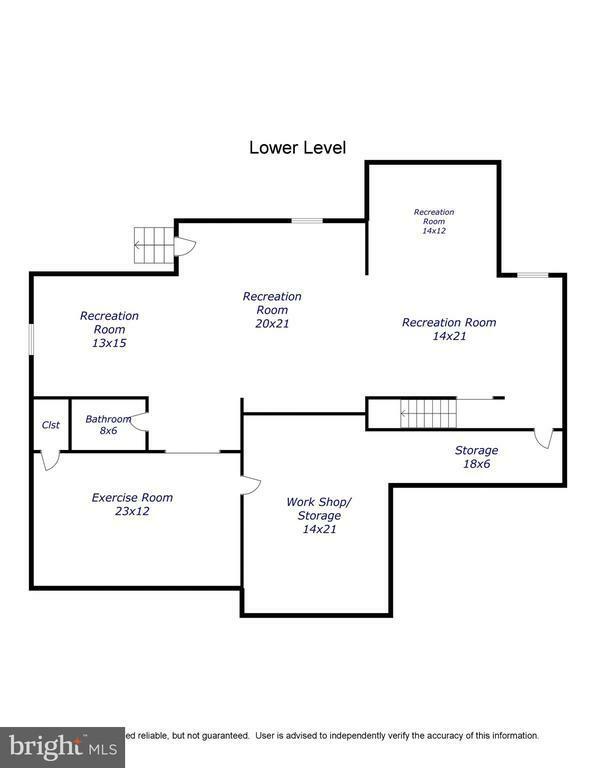 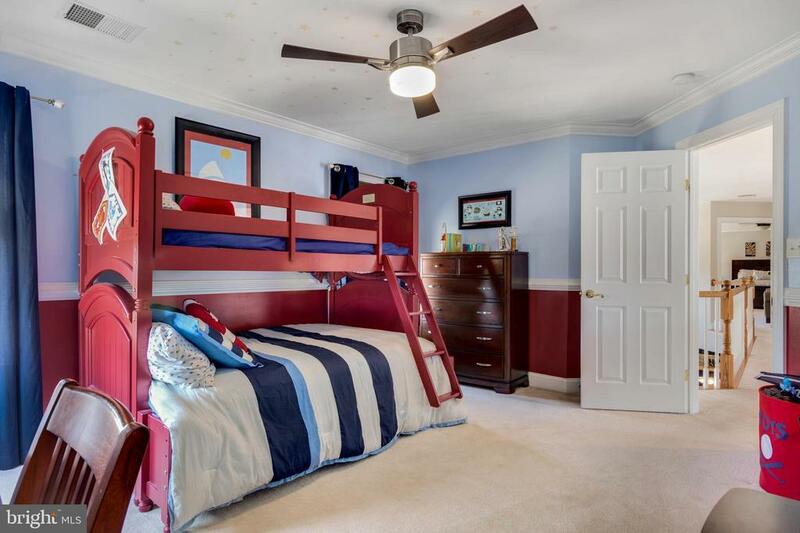 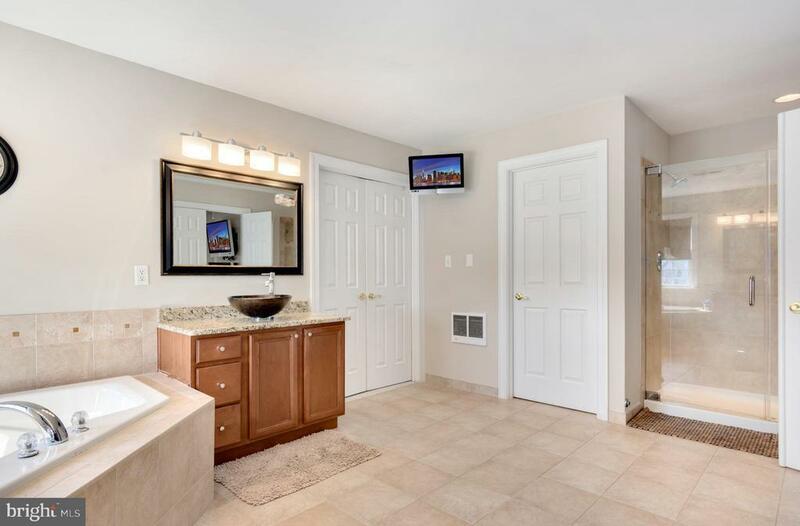 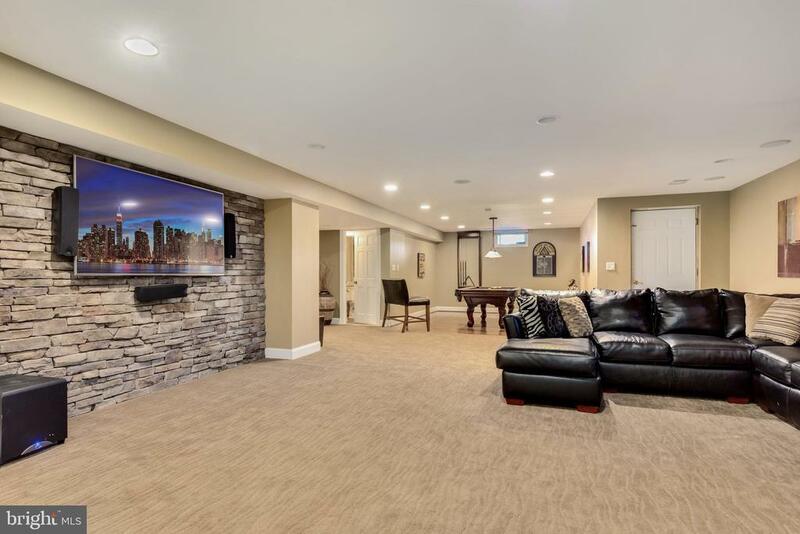 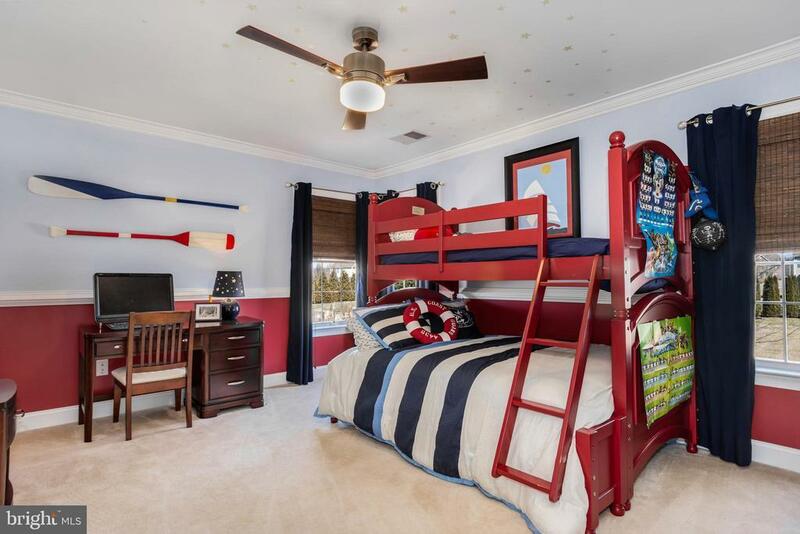 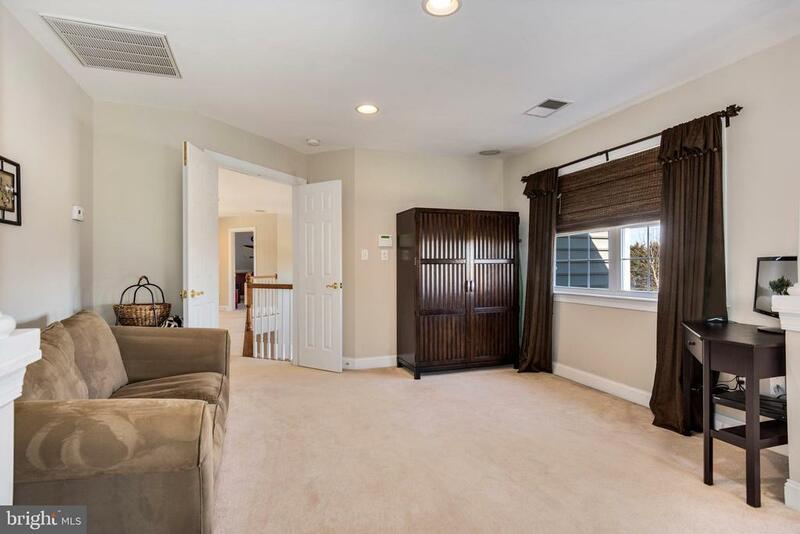 The Lower Level offers additional space currently used for "Theater" room, pool room, childrens play room, exercise room, lovely full bath and plenty of storage space. 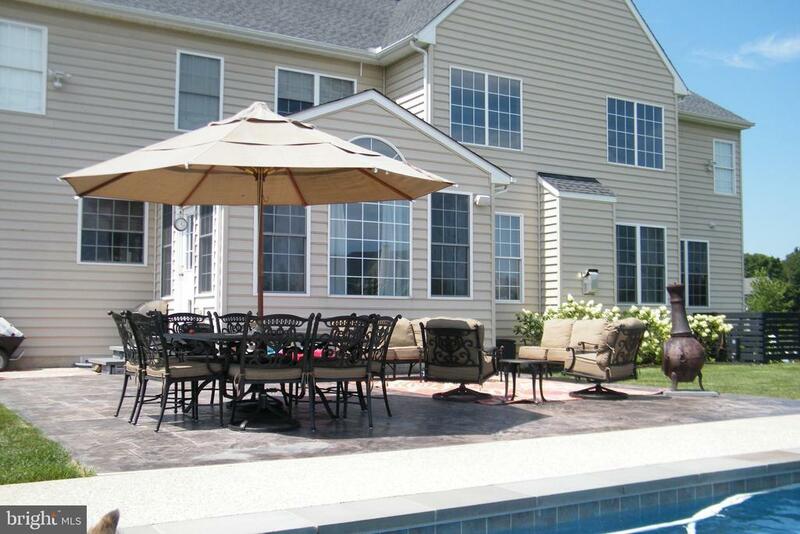 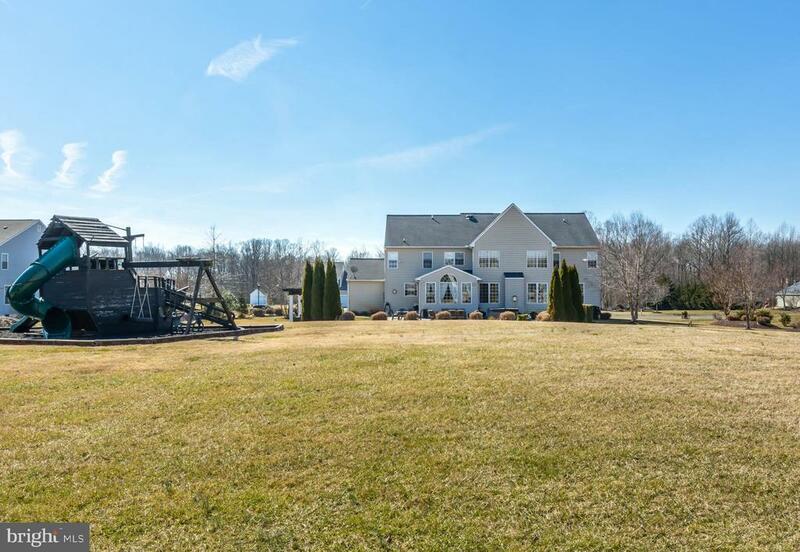 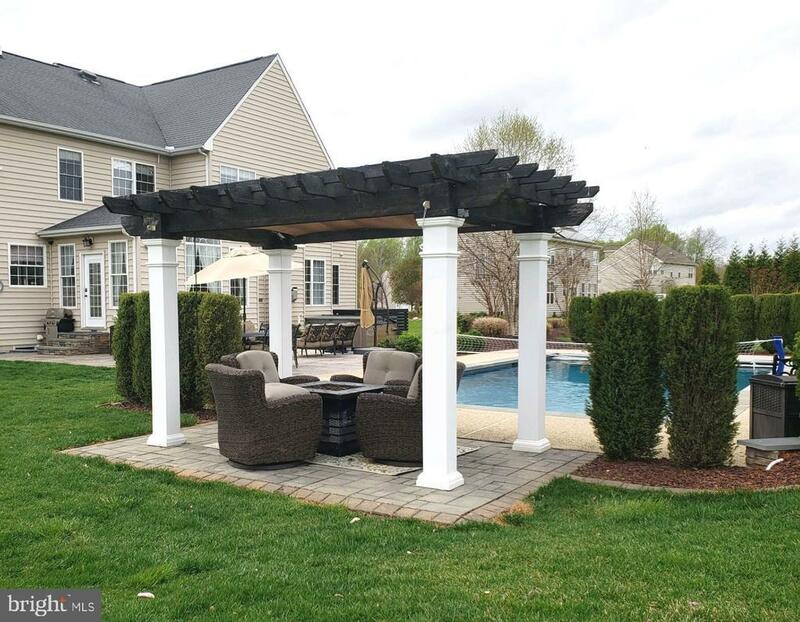 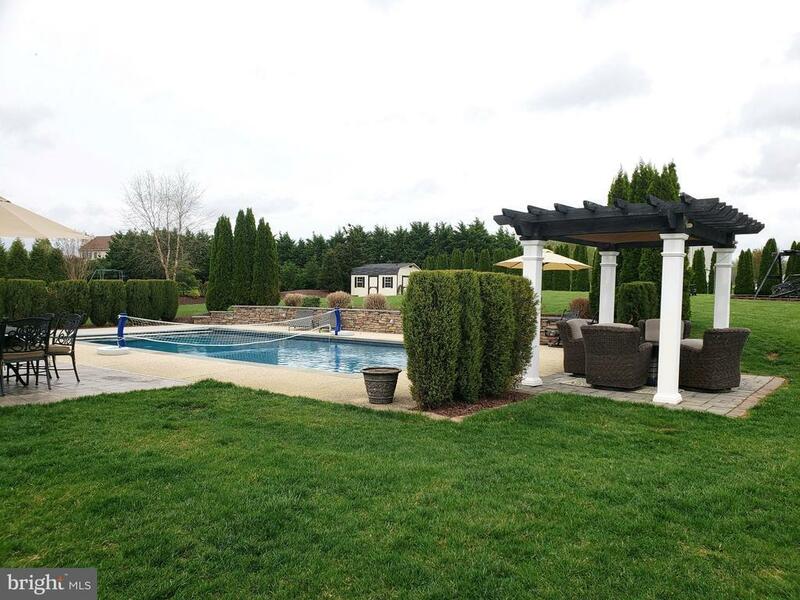 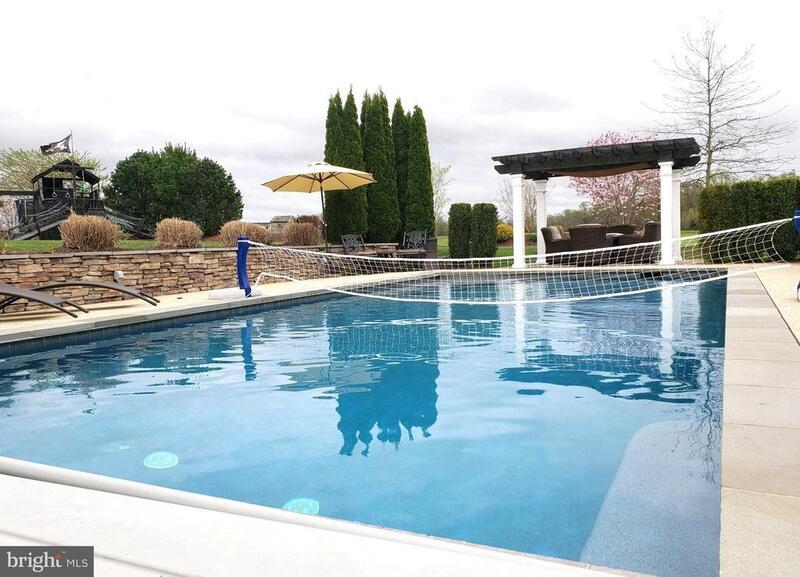 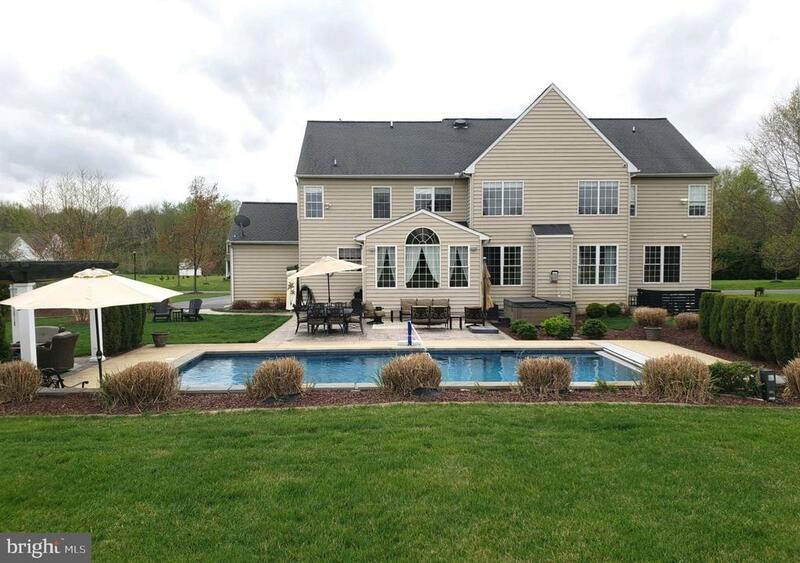 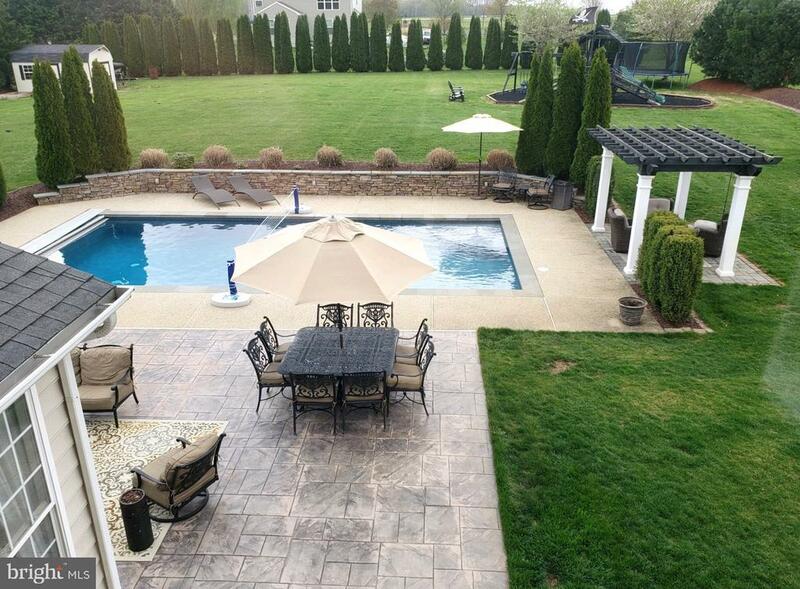 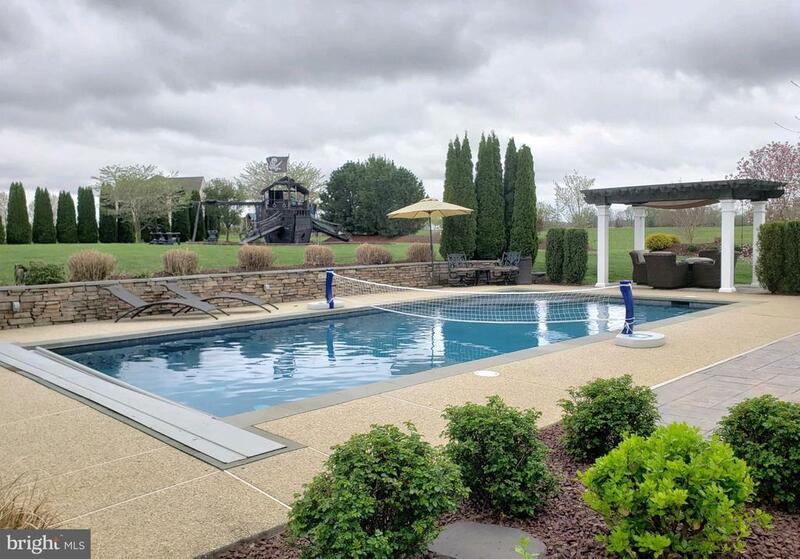 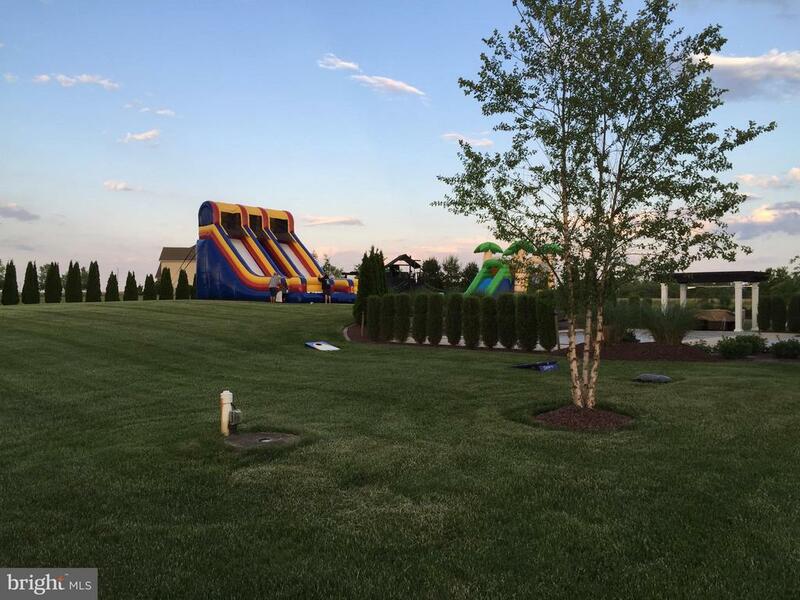 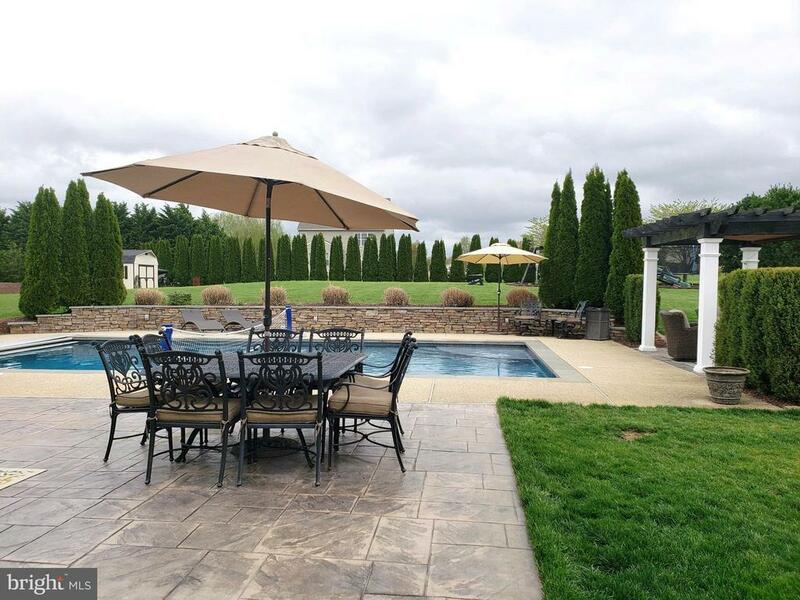 Outdoor entertaining made easy here with extensive hardscaping surrounding heated gunite pool, outdoor hot tub and enough yard left for play. 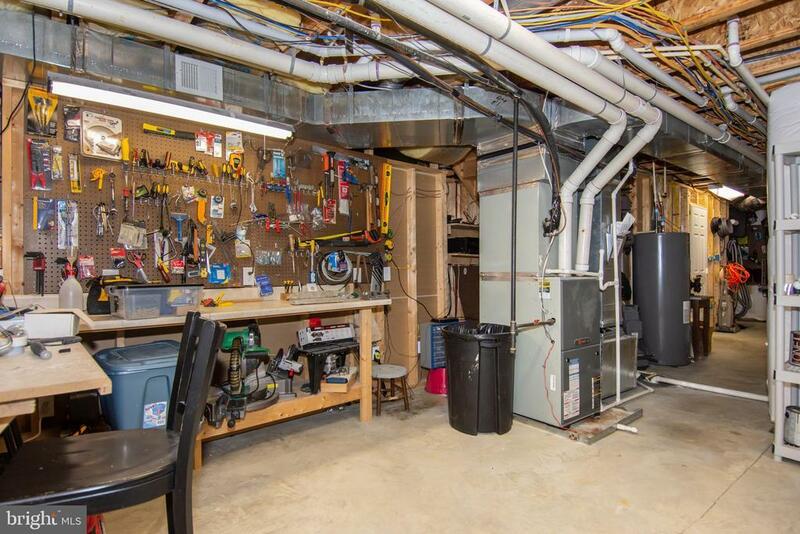 3 Garage Spaces. 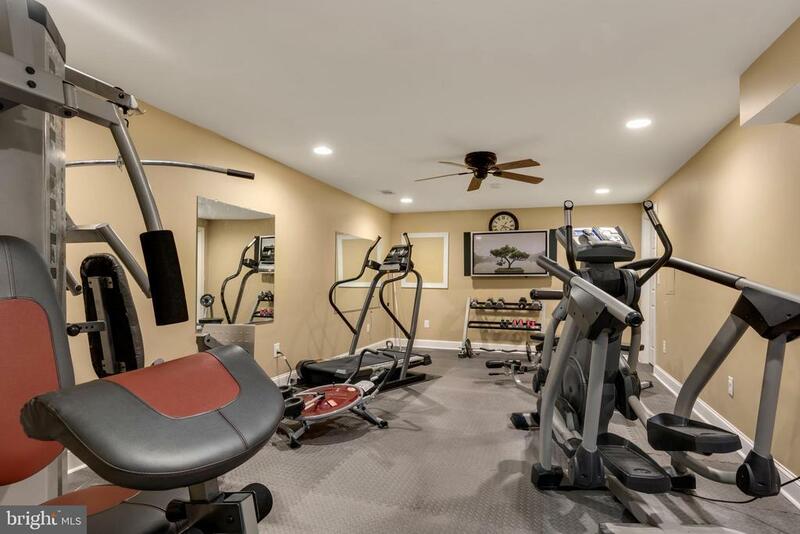 Centrally located, easy commute.